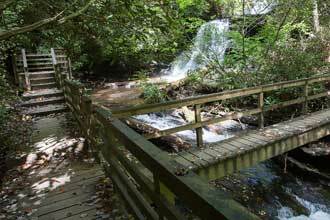 One of the best hikes in north Georgia, Panther Creek offers a relatively easy trail with an impressive waterfall as the payoff. 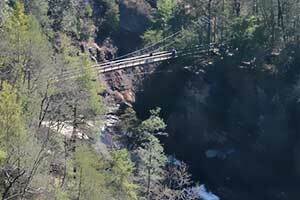 Panther Creek Falls trail is a well maintained, 6.5 mile round trip trail that’s great for families or for hikers looking for a relaxing half day adventure. 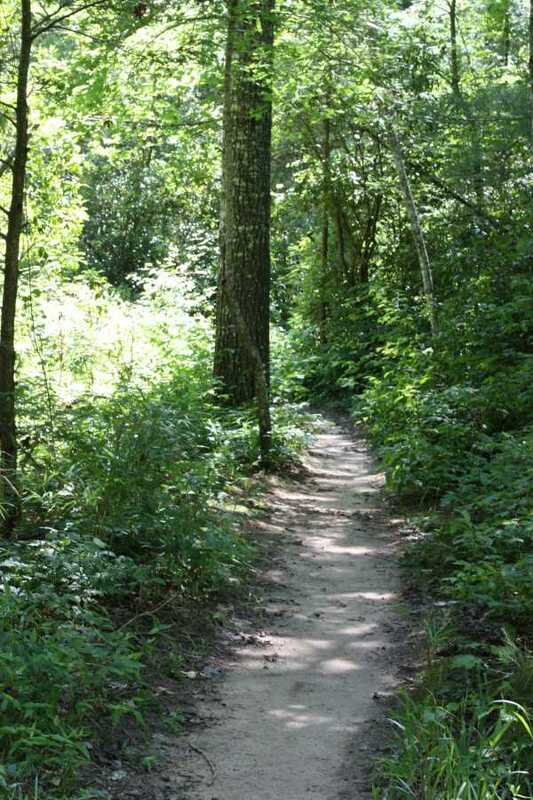 However, due to the close proximity to Atlanta, this can be one busy path. 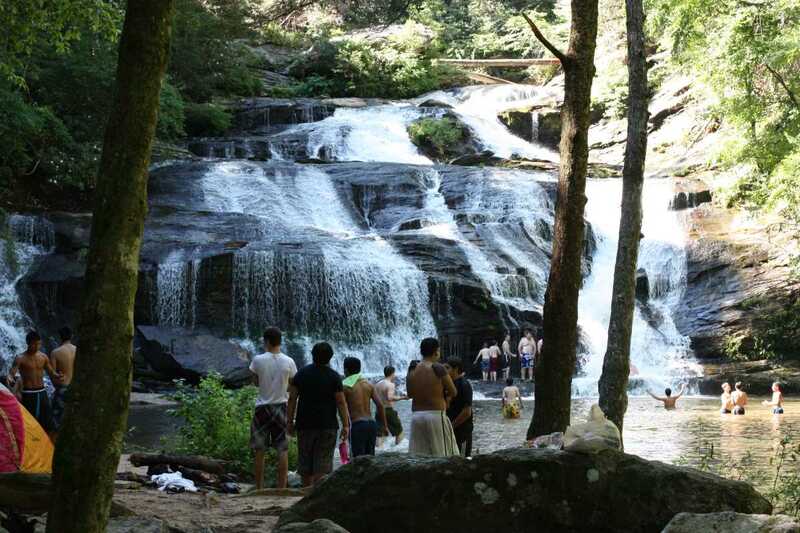 Get there early or expect a crowd at the falls. 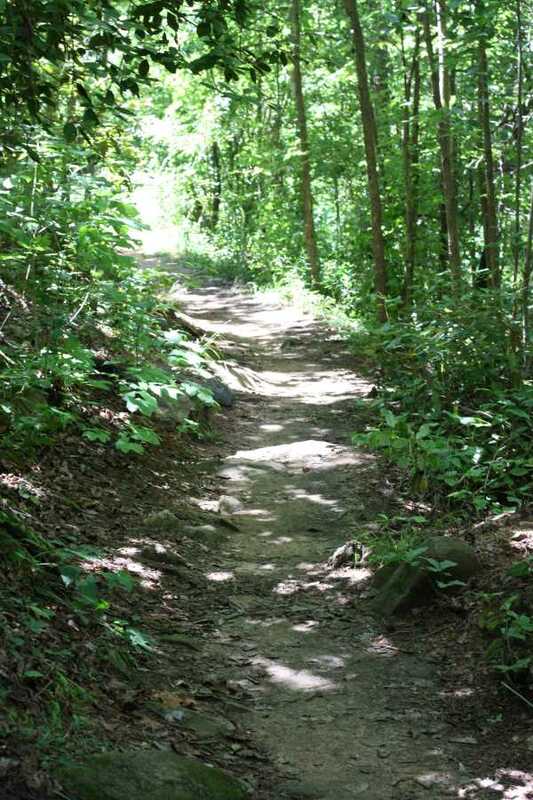 This trail goes all the way to Yonah Dam road but this report covers the trailhead on Old Highway 441 to the falls and back which is by far the most popular option. 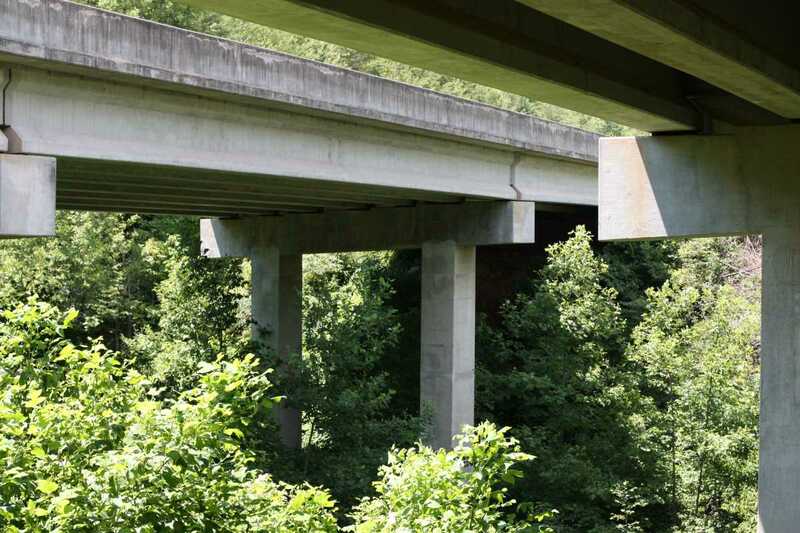 Taking the trail on the East side of the road, the path quickly crosses under Highway 441 and then shortly through a power line clearing. 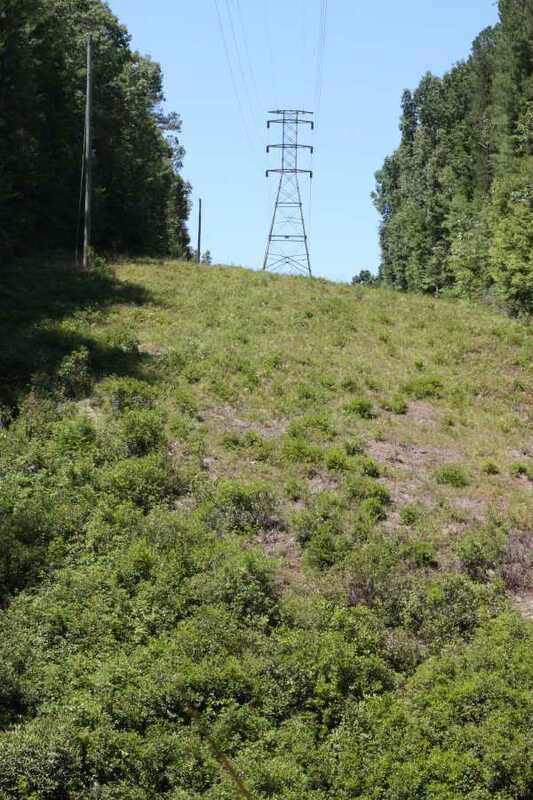 Along these open sections you will find raspberries and blackberries in the summer. 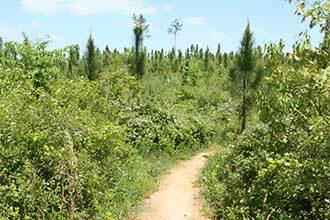 The trail is very easy to follow. For the first half of the hike, the trail stays above the creek, following the contours of the hills. It slowly begins to make its way down to meet the water and the first footbridge. This is roughly the half way point. 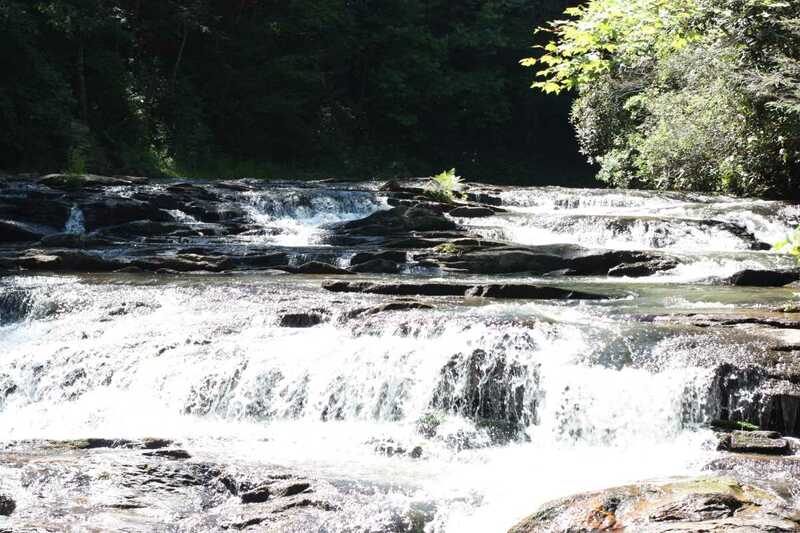 Along this first section you will notice several camping sites and many more near the base of the falls. 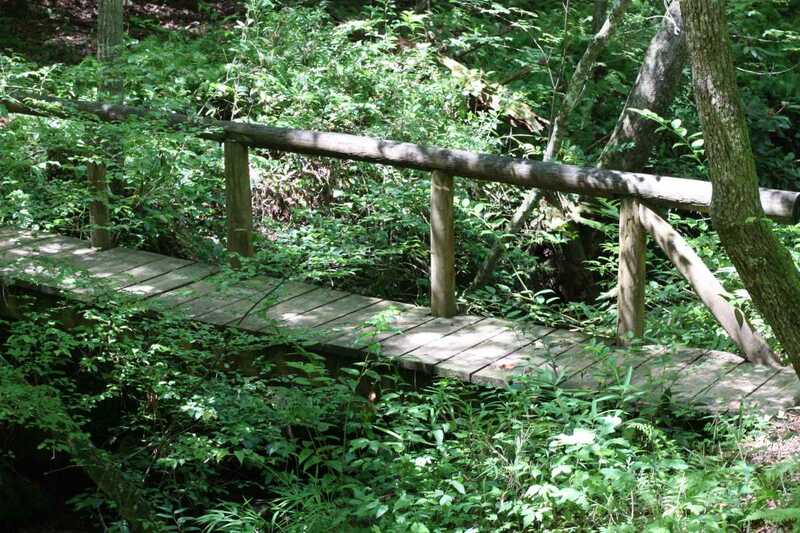 From here, the trail stays on the south side of the creek for the remainder of the hike. This section is flat and easy. 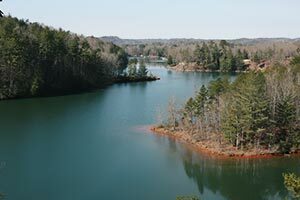 The water is never far away from here on, making this a very relaxing and enjoyable hike. 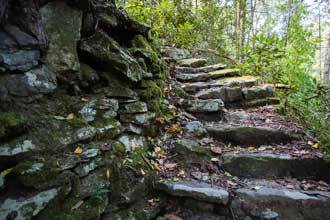 The last half mile of the trail gets a little more interesting, with the path making several steeper climbs above the creek and along rock ledges. 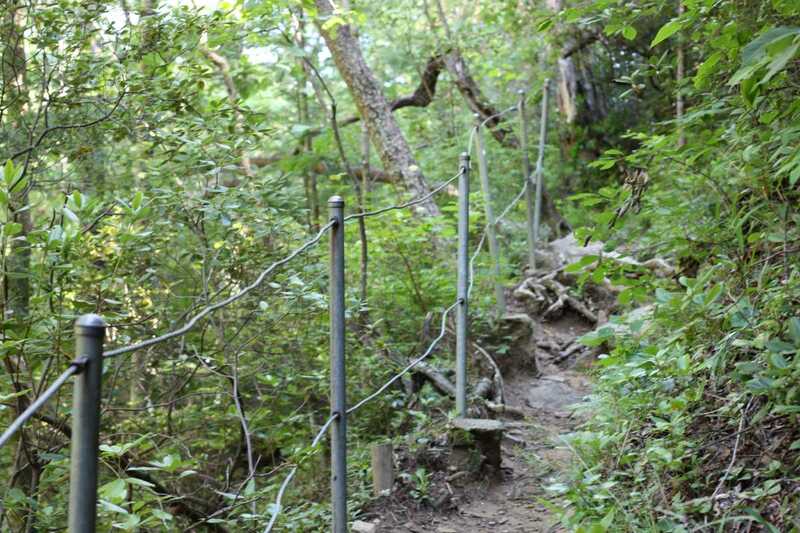 Due to the popularity of the trail, these are all safeguarded with metal cable railing, making it safe for all ages and abilities. 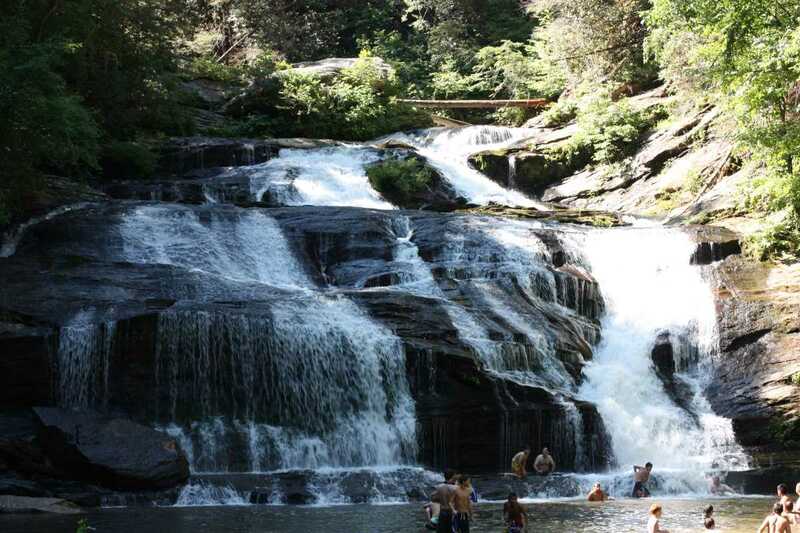 The falls can be heard as you make your approach, which ends with a steep descent. 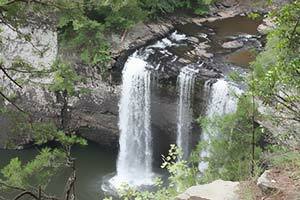 The main falls is 40 feet high, but is wide and impressive. 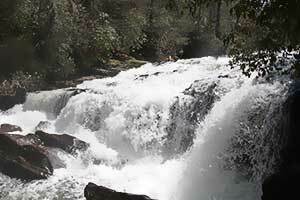 The pool of water at the base is great for swimming and the falls itself can be explored along the base. 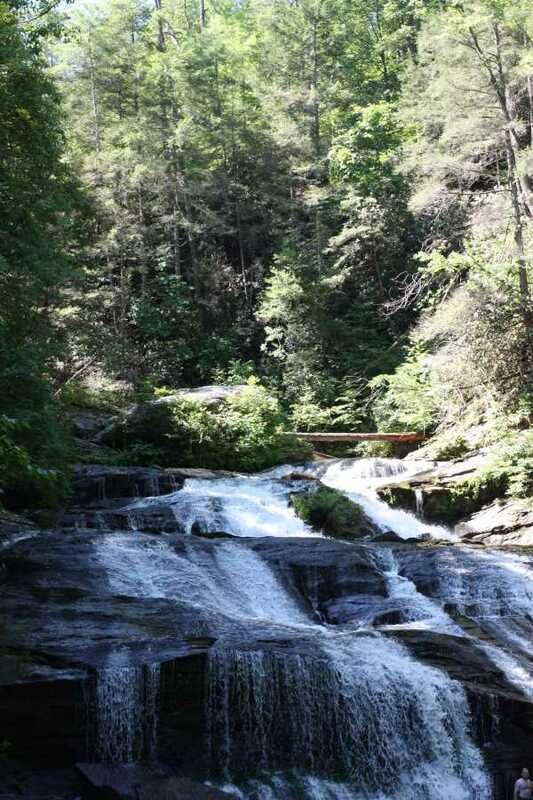 The trail continues toward Yonah Dam road and the South Carolina border, but few go further that the falls. 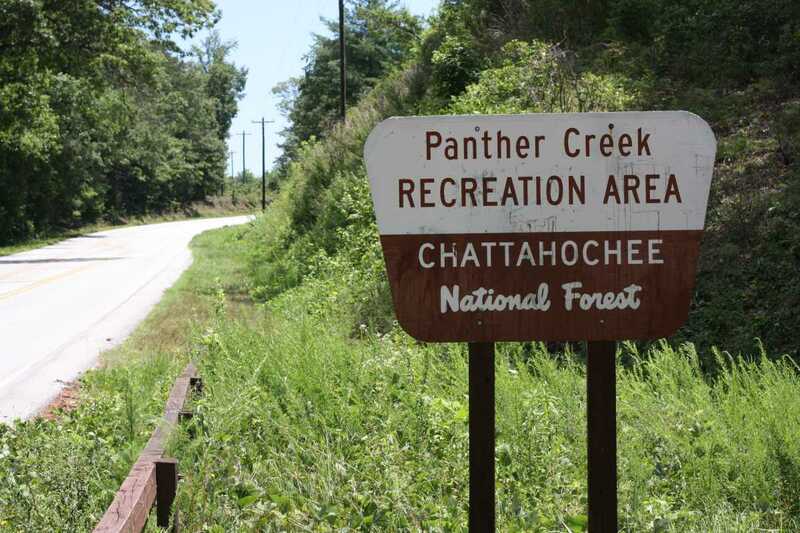 Travelling north on 441, look for the sign on the right of the highway for Panther Creek Recreation Area indicating a left turn onto Glen Hardman Rd. Make a right on Old Hwy 441 for 1 mile. Parking is on both sides of the road. 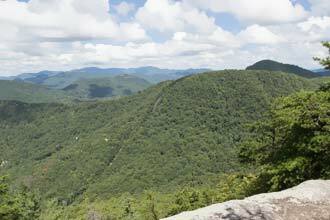 Get here early for a quiet hike. Weekends will be busy. The climb down to the falls is the only difficult section along this hike. 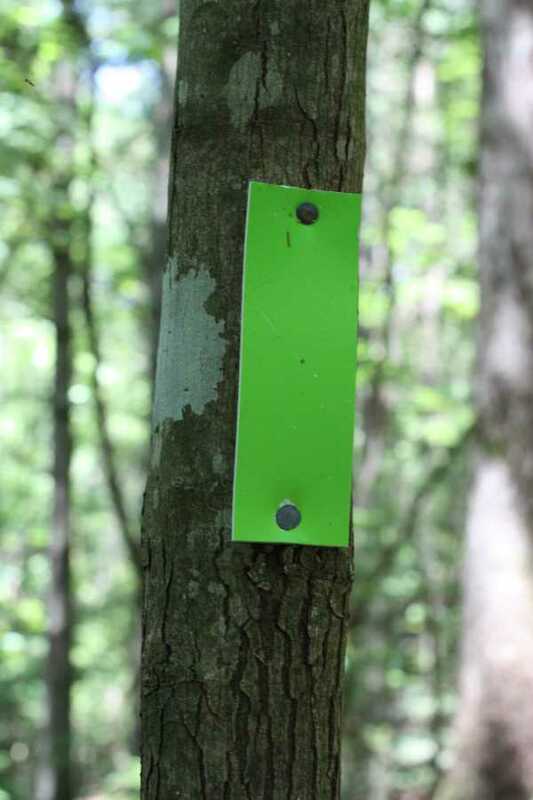 This is a great hike but beware! It can be crowded! Try to go early in the morning or in the off season. 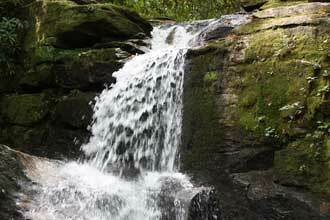 The hike is relatively flat but has some technical sections, especially at the end right before the waterfall. 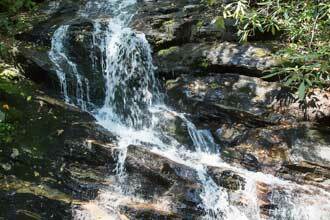 This is one of the best hikes in North GA. Easy enough for most with a powerful waterfall at the end. A great place to rest and relax or go for a quick swim. This should be on your short list.